Grandfather Karl Alfred von Hase died on New Year’s Day 1914. The Bonhoeffers no longer lived in Breslau, but the progressive stages of his cancer were not hidden from the grandchildren. The reports that their grandfather had continued his work until it was not longer possible left a last impression on them. Karl August von Hase (Dietrich Bonhoeffer’s grandfather) was interested in the early dialectical theologian Christoph Blumhardt and visited him at Bad Boll. Following the invasion of France in the years 1870-1871, he became a division chaplain in Hannover and, in 1876, was made senior military chaplain in Königsberg. ~ Eberhard Bethge, Dietrich Bonhoeffer: A Biography (Revised Edition); Chapter 1: Childhood and Youth: 1906-1923, 7. The great-grandfather (Karl August von Hase) was a very successful theological teacher and writer; his books went through many edition. Hutterus Redivivus, a textbook on the history of dogma, was still a respected examination aid during Dietrich Bonhoeffer’s time as a student. ~ Eberhard Bethge, Dietrich Bonhoeffer: A Biography (Revised Edition); Chapter 1: Childhood and Youth: 1906-1923, 6. Would Dietrich Bonhoeffer Have Resisted Donald Trump? The German pastor and theologian is famous for his rich, profound, provocative writings, and the challenge his own life presents as the pacifist who was killed for his involvement in a plot to assassinate Hitler. On this day, February 7, 1945, Bonhoeffer was taken to Buchenwald concentration camp, where the Nazis tortured, experimented on and killed tens of thousands of its prisoners. Three months later Bonhoeffer was executed there, just days before the war ended and the Allies liberated the camp. 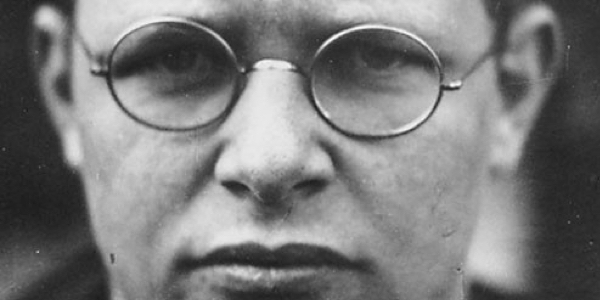 The sombre anniversary provokes a reflection on the legacy of Bonhoeffer for the Church and the world. As a hero who stood firm for his faith in a time of crisis, Bonhoeffer has often been used as a guide for the political present. Conservative evangelical writer Eric Metaxas authored the Bonhoeffer biography Pastor, Prophet, Martyr, Spy but received criticism for his depiction of the theologian as a close ally of American conservative evangelicals. In the 2016 election, Metaxas implored Christians to vote for Donald Trump, calling the choice a ‘Bonhoeffer moment’ of grave moral significance, and likening Hilary Clinton to Adolf Hitler. Metaxas was excoriated by Bonhoeffer scholar Charles Marsh, who explained why Metaxas’ appropriation of Bonhoeffer as a “white evangelical family values Republican” was inappropriate and delusional. As experts on the man and his message, the International Bonhoeffer Society is well placed to explore the relevance of the German theologian to today. Last week the group issued a statement relating Bonhoeffer’s legacy to current political events in the United States. 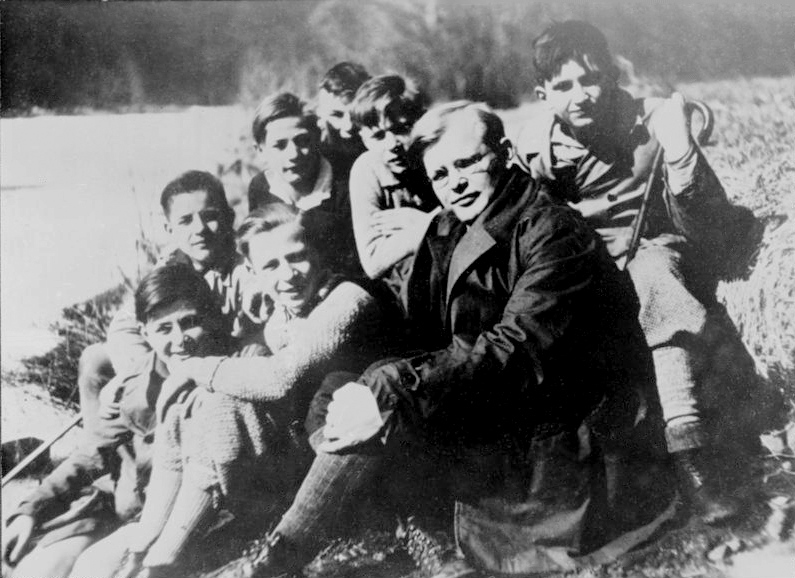 It emphasised that the best way to relate Bonhoeffer to today is not to draw direct political analogies, but to consider Bonfoeffer’s self-understanding “as a citizen in his own times” and draw on that. “We speak noting that Dietrich Bonhoeffer himself taught the profound relatedness of all human persons and, indeed, of peoples and nations. We therefore feel called to raise our voices in support of justice and peace, and in resistance to every form of unjust discrimination and aggressive nationalism,” the statement began. His grandfather (Karl Alfred von Hase) was devoted to cultivating the memory of his famous father, Karl August von Hase, professor of church and dogmatic history in Jena. The figure of this great ancestor influenced Dietrich, although he did not follow the same theological direction. At the same time, the story of his life fascinated Dietrich. ~ Eberhard Bethge, Dietrich Bonhoeffer: A Biography (Revised Edition); Chapter 1: Childhood and Youth: 1906-1923, 5.